Last week I said that Woodchuck's Summer Time is my favorite summer adult beverage. This is true. 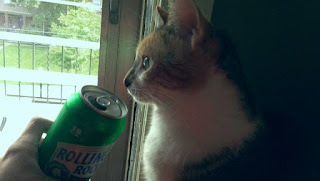 But, if there's one other brew to which my thoughts turn in the warmer months, it's Rolling Rock. Rolling Rock is my all-time absolute favorite cheap beer. It's my go-to brew when I'm low on cash. Although I purchase and consume it year-round it's extra fun to drink outside on a sunny evening after a long day at work. As such, I like drinking it a lot more when it's summer. I've never known that much about Rolling Rock. I mean, I know that it's cheap. I know it's available practically anywhere. I know that it was the first beer that ever got me drunk (thanks for that first, Old Latrobe). And I always kind of assumed that it ranked up there with Bud and Coors in terms of production. Like every other brewery ever, Latrobe has a history section devoted to the extra pale on Rolling Rock's website (their's is especially cool). 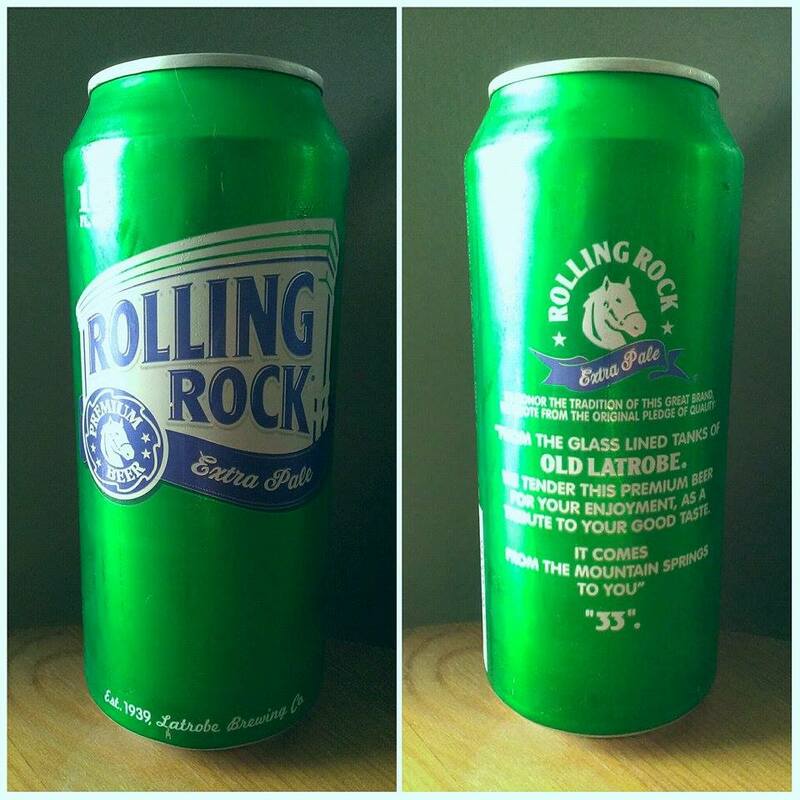 Here's the quick and dirty: Latrobe opened in 1933 (as soon as prohibition ended), Rolling Rock was first brewed in 1939, in 1992 Latrobe was declared the eighth-largest brewery in the US, and that there's much debate over the "33" on the back of a Rolling Rock can/bottle. Speaking of cans/bottles, do yourself a favor and drink Rolling Rock from a can--you'll find it to be more flavorful. Before schooling in beer I'd always assumed that RR was a pilsner. Partly because that exactly what it smells like. Getting into its aroma, I get traces of some of the ale's ingredients (mainly rice) but for the most part it smells like a near-perfect blend of a pilsner and PBR. 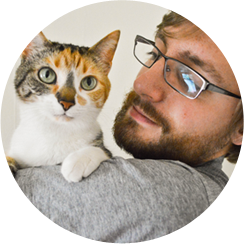 Seeing as how she only gave it two whiffs before turning away, it's pretty safe to assume that Purrl hates it. The beer also tastes like a pilsner, which is a good thing because I really like that style. I can't pick out any of the extra pale ale's ingredients in the taste. If I'm fooling myself I can claim that I get the corn but, between you and me, I don't. Overall, it's run-of-the-mill, but in a really good way that makes me enjoy it. Mouthfeel time: this is one hell of a foamy beer. It smoothes up upon swallowing, though. A few summers ago, I was running through New Paltz, NY (the town in which I stayed during the internship I had between my junior and senior years of college) in the morning. Someone in my neighborhood had put out their recycling. It was filled with colorful wine bottles. This inspired me. Not to consume as much alcohol as they did (I don't doubt that I do) but... I don't really know. I can't explain it. I was just left with this impression of coolness, of freedom. Anyway, some of the bottles were purple, some red, some blue, and some green. I've never been, nor shall I ever been, a wine guy. 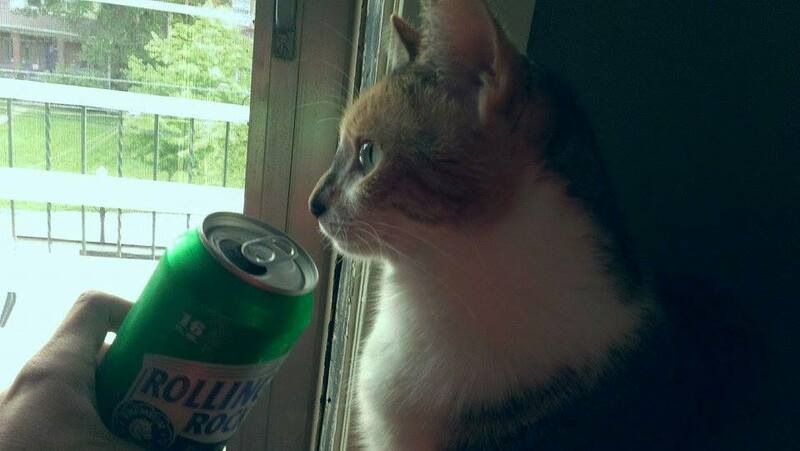 But Rolling Rock can give me that same sense of freedom with its green bottles. Which, thanks to that run, is best to experience on warm summer days. I like Latrobe's Rolling Rock. It's inexpensive and tasty. If you're drinking it from a bottle, you're tasting a beer I'd rate 7.0/10. If you're drinking it from a can (as I am this evening) expect a 7.5. It's the best cheap beer you're like to find anywhere. Go ahead, try to prove me wrong.